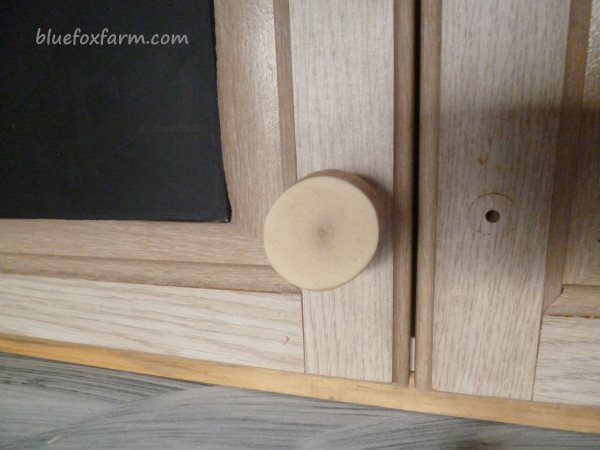 So you've finished your great furniture upcycle with a thrift store find or something scrounged from the roadside - now what kind of handles should you buy for it? There are lots of choices out there that are mass produced. This makes it hard to be completely individual and unique when finishing a project. Lots of times, that final touch just doesn't satisfy me, the ones you can buy are just not quite what I'm after. I like to have something that is really 'me' in my projects - and twigs are one of my favorite things. So don't buy them - make them! 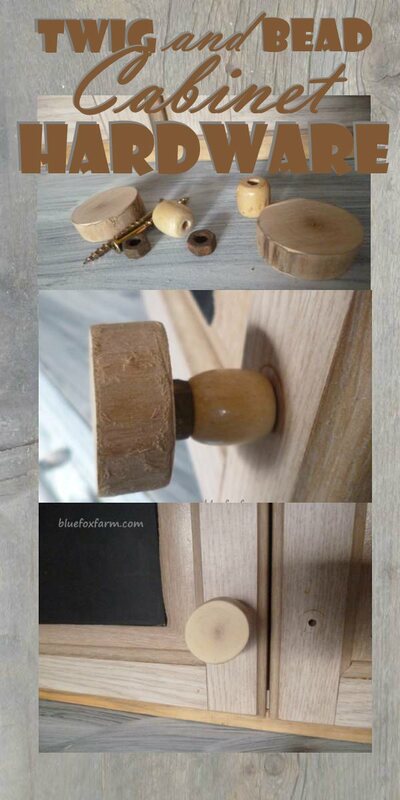 Here's a super easy and economical way to make your own drawer pulls out of twigs and beads. 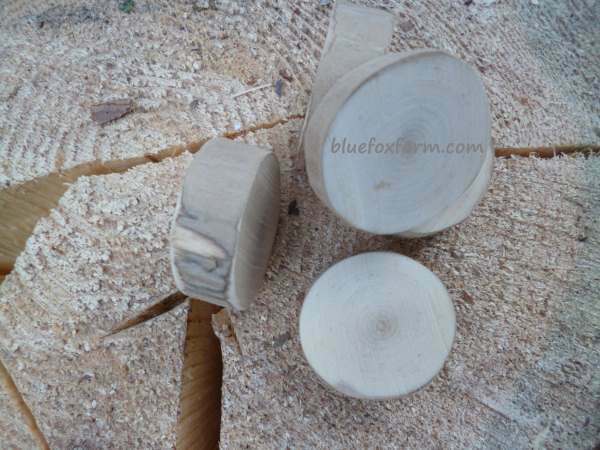 You'll need pieces cut from a twig - here, I've used one of my favorite very dense types of wood, Amelanchier but you can also use any fruitwood or other fine grained twigs like maple. The slices are about 3/8" thick, or a little more. The twig at this point was about 1 1/2" thick. Sand the edges smooth, but don't take off all the bark - remember, the imperfections are what rustic is all about. 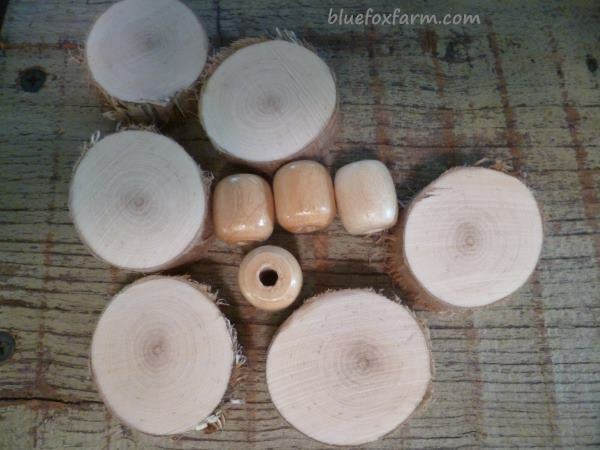 I've assembled the things I'll need here; the disks of wood, some beads, screws to hold it all together, and the nuts to take up a tiny bit more room on the screw. The screw should not stick out from the middle of the disk, it stops about halfway through, just enough to hold it all in place. 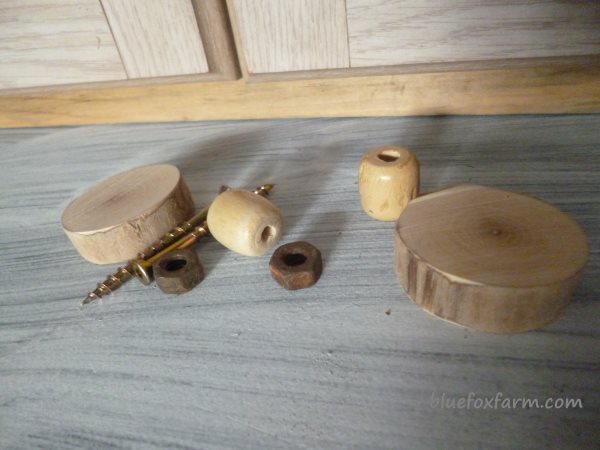 I thought of drilling pilot holes with a tiny drill bit, but decided against it on the grounds that it could weaken the wood too much. 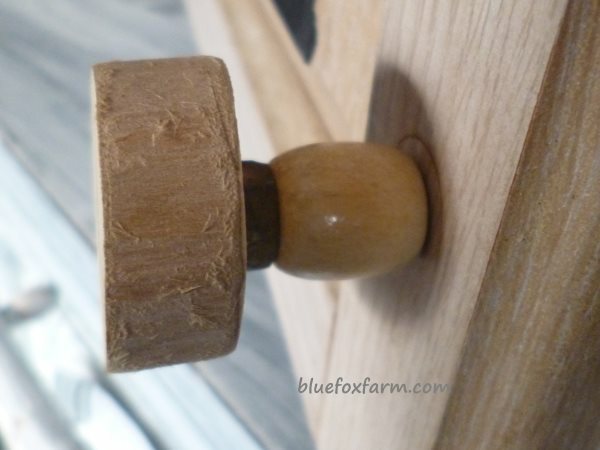 Once they're all assembled on the door, the tiny nut doesn't even show, but it makes all the difference to the way it fits together. And the front view which is what you'll see once all the door handles are in place.